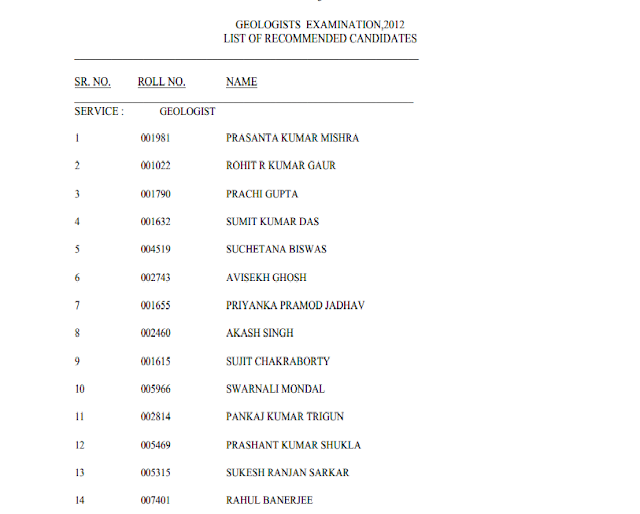 Union Public Service Commission (UPSC) had has conducted Geologists Examination in a National Level Competitive Exam by last year i.e. 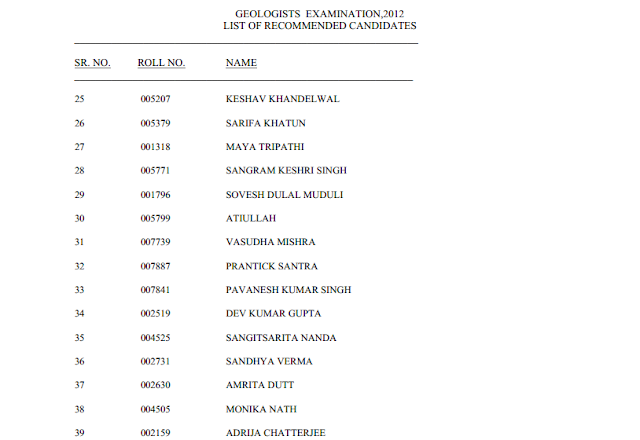 Exactly December 2012 and the Results for those who had made successful in their Personality Test/Interview and you could find the Order of Merit for the same Examination below. 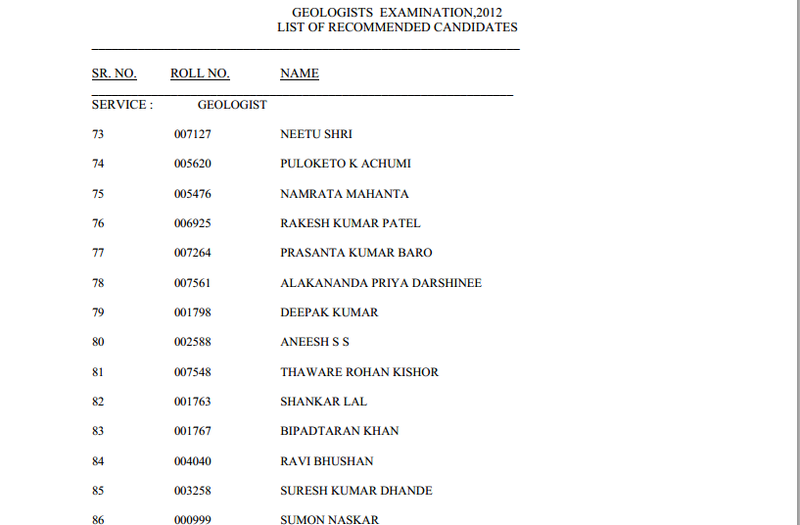 Category I which comprises of Geologists (Group A) and (Group B) Assistant Geologists Grade I. This posts which are come under Geological Survey of India, which come under Ministry of Mines. Category II the posts covered under this category is Junior Hydrologists (Scientist) and Assistant Hydrologists Group B which is comes under Central Ground Water Board, Ministry of Water Resources. 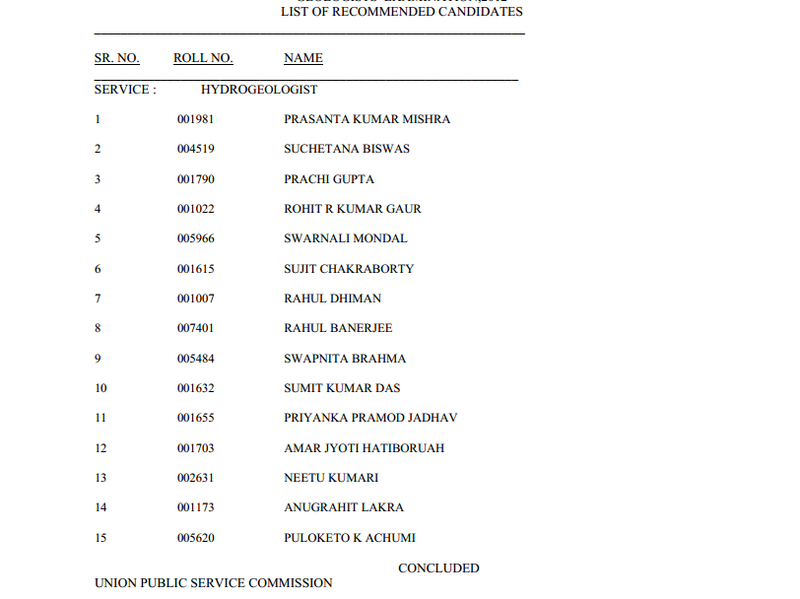 Assistant Hydrologists Group B includes 13 Posts (Includes all Category).